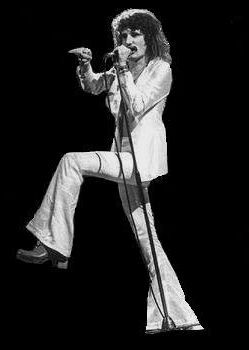 The links below present to you one of the most complete David Byron photo collections put together in one place. Originally the photos presented in the below links were collected from 1999 - 2004 by our mother website through donations by photographers and fans all over the world. This section has now been upgraded with new contributions and content. No copyright is claimed to the ownership of any photo by this website and thanks is given in the "Miscellaneous" pages for help in creating this and other portions of the site. If you have a photo you would like to have put on this website, feel like you own a photo that should be removed or feel as if you should've been credited for any work presented please contact us here. Many of the photos contained you may have seen before, many you may have not. Keep in mind that certain things are very rare and hard to obtain due to the time frame or the subject nature of the photograph itself.